It takes courage to unmask yourself. It breaks our hearts when we see people put on masks that hide their wild, crazy, beautifully deviant selves. 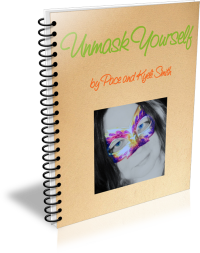 We want to help, and so Unmask Yourself is our gift to you. It’s a 27-page PDF workbook packed full of our best tips, inspiration, and resources for expressing your authentic, courageous Self.